* Special medical board of ESIC gave 100% compensation to the dependents of two workers of asbestos cement factory (Hyderabad) who died due to mesothelioma of peritoneum. * Two workers in Ahmedabad Electricity Company diagnosed as having asbestosis by NIOH have been compensated by Gujarat High Court. * Twenty-five workers in asbestos jointing and packing industry at Mumbai were compensated by the Special medical board of ESIC. 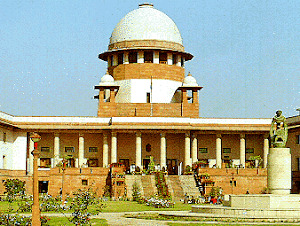 In a lawsuit filed by the Consumer Education and Research Centre (CERC), Ahmedabad, in the Supreme Court in 1993, the court ruled that the industrial units must maintain a health record of every worker up to a minimum period of 40 years; insure workers under the Employees State Insurance Act or Workmen's Compensation Act; or give health coverage to every worker. The adverse impact of asbestos use has been further established with major Japanese manufacturers having admitted scores of asbestos-related deaths amongst former employees, customers and local people. But the extent of the human tragedy due to asbestos exposure remains uncovered in India. This is despite the fact that the Union Ministry of Health informed the Parliament in 2003 that studies by the National Institute of Occupational Health, Ahmedabad, have shown that exposure to any type of asbestos can lead to the development of asbestosis, lung cancer and mesothelioma. White asbestos continues to be in use in India although other kinds such as blue and brown asbestos are banned. About one lakh (0.1 million) workers are directly exposed and 3 crore (30 million) construction workers are being subjected to asbestos dust on a day-to-day basis. Besides the workers, even common citizens are at risk. Asbestos is used mainly for water pipes or as roofing sheets in the construction industry. It is also used in the manufacture of pressure and non-pressure pipes used for water supply, sewage, irrigation and drainage system in urban and rural areas, asbestos textiles, laminated products, tape, gland packing, packing ropes, brake lining and jointing used in core sector industries such as automobile, heavy equipment, petro-chemicals, nuclear power plants, fertilisers, thermal power plants, transportation, defence, etc. On June 29, 2005, a spokesperson for Kubota Corporation, an industrial equipment manufacturer based in Osaka, Japan confirmed the asbestos deaths of scores of former employees. Kubota Executive Taichi Ito told reporters, “We followed laws and regulations properly (at that time), but it is extremely regrettable that the health of local residents was harmed.” The next day, officials at the Health, Labor and Welfare Ministry announced their intention to look into the labour conditions, which led to these deaths. The news about the death of 86 former employees of Nichias Corporation due to asbestos-related disease since 1976 attracted media attention throughout Japan on July 5, 2005. There are several other Japanese companies, which have recently disclosed asbestos deaths amongst their workforce. Currently, Japan has banned asbestos use in principle, except in cases where there are no substitutes. Asbestos is, therefore, still used in gaskets for machinery, insulating plates on switchboards, seals at chemical plants and ropes for industrial use. Responding to the recent factual reports of asbestos related deaths, Japanese Health Ministry plans to ban all use of asbestos by 2008. Even as Japan announced a set of measures to ease public anxiety about asbestos, plans are afoot in India to lift the ban on asbestos mining. Asbestos is being promoted freely whereas developed countries keep away from it. Asbestos fibres are proven to be carcinogenic. The Indian Government's signal to promote asbestos has outraged environmental, labour, consumer and human rights groups in the country. Grants of fresh mining leases and renewal of existing mining leases for asbestos are presently banned in India on health grounds but the Union Ministry of Commerce continues to import asbestos from countries like Canada. In Canada, there is a no home use policy for asbestos. It has lost its case in World Trade Organisation (WTO) where it argued for trade in white asbestos. Asbestos has been banned in almost 40 countries, which includes Australia, Uruguay, European Union, Honduras and others. But as per the Indian Bureau of Mines (IBM), a subordinate office of the Union Ministry of Mines, asbestos is safe for Indian workers and citizens. Unmindful of the fact that ‘poison’ does not become ‘non-poisonous’ as a result of advertising, public relations campaigns and dubious scientific studies, the Canadian Government has announced its continuing support for safe and responsible use of white asbestos. It renewed its funding to the Montreal-based Asbestos Institute for the promotion of white asbestos throughout the world. It has announced a contribution of $775,000 for the promotion of asbestos. Consequently, the asbestos industry has flooded national dailies and channels with sponsored features, advertisements and studies to promote what it calls the ‘safe’ and ‘controlled use’ of white asbestos cement. According to National Institute of Occupational Health (NIOH), Union Ministry of Health and Family Welfare, Government of India exposure to asbestos causes asbestosis, lung cancer and mesothelioma. There are 18 asbestos cement factories located in different parts of the country. NIOH carried out environmental epidemiological studies in four asbestos cement factories located in Ahmedabad, Hyderabad, Coimbatore and Mumbai. 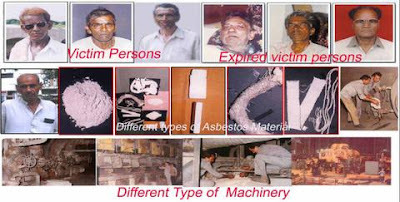 The prevalence of asbestosis in these factories varied from 3 to 5 per cent. Making of asbestos yarn and ropes is done mostly in the unorganised sector of industries with very poor safety measures. The prevalence of asbestosis was 9 per cent. This relatively low prevalence of asbestosis despite high environmental levels was attributed to high labour turn over. Cases of asbestosis were observed in workers having less than 10 years exposure in contrast to the reported average duration of over 20 years. The Industrial Toxicology Research Center, Lucknow, a body under Union Ministry of Science and Technology, has conducted detailed studies in the illegal mining and milling area of Rajasthan carried out Dr. Qamar Rahman. She has reported that workers in these illegal mines are exposed to very high asbestos fibre concentration at work places. They do not use gloves, masks and protective clothing. They use primitive manual way for grinding. "Clinical studies revealed prevalence of large number of cases of asbestosis. In some cases asbestosis was developing in less than five years. Under such alarming conditions lifting ban on asbestos mining would be a disaster for the workers," says Dr Rahman. The Indian Association of Occupational Health had passed a resolution demanding an immediate ban on all the activities related to asbestos and its products on April 13, 2002. On November 8, 2004, preventable but incurable diseases caused by asbestos were taken note of by the India’s central trade unions who endorsed a resolution calling for its ban. P K Ganguli of Centre of Indian Trade Unions (CITU) said that at a time when there is a world wide movement to get asbestos banned and already the entire developed world has banned it, it was puzzling to note that Indian Government is planning to lift the ban. He warned that it would contribute to more cancer and occupational hazards among the workers in particular. "We demand that the government should desist from lifting the ban from mining of all forms of asbestos," Ganguli asserts. The government has meanwhile reduced customs duties on asbestos. Earlier the import duty on asbestos from reduced from 110 per cent to 50 percent in 1992, thus reducing total import cost by 25-30 per cent. India has also been reducing the customs duty on asbestos fibre in recent years (from 78 per cent in 1995-96 to 25 percent in 1999-2000). Fifty per cent of the sales of asbestos cement are in the rural sector and 30 and 20 per cent in the industrial and urban sectors respectively. The Union Minister of State for Coal and Mines, Dr. Dasari Narayana Rao in a written reply in the Lok Sabha on April 29, 2005 announced the possibility of lifting the ban on asbestos mining in the light of mining industry supported study of Indian Bureau of Mines. Besides workers, even common citizens are at a risk of exposure from asbestos, which becomes air borne through wind erosion and normal wear and tear. The epidemic of illness and death due to asbestos that is plaguing the developed countries with an estimated 30 deaths per day is being repeated in India. India is using asbestos in exactly the same way as the developed countries did until about 1980. The danger from asbestos was documented in India as early as 1968.Although there is indisputable evidence that asbestos causes asbestosis, lung cancer and mesothelioma, asbestos mining, milling and manufacturing continues. The result of widespread use of asbestos in the European countries, United States, Canada and others has resulted in hundreds of thousands of deaths and over a trillion dollars in personal and property damage. But instead of learning anything from the experience, in order to remain in business the asbestos companies from the developed world have moved most of their operations to countries such as India where there is little awareness about the hazards from asbestos. The choice before the Indian Government is crystal clear - either it should ban trade, manufacture and use of all kinds of asbestos or misinform the citizens that asbestos kills Japanese, Australians and Europeans but not Indians. Misrepresenting India at the Geneva Meeting of the Rotterdam Convention held in Geneva, Ramesh Inder Singh, Joint Secretary, Ministry of Chemicals, explained that during the previous 12 months, (we have) studied this issue (of inclusion of white asbestos in the Prior Informed Consent [PIC] list) with an "open mind”. "We are not convinced that the opinion of putting chrysotile on the PIC list is correct." "More time (is needed) to dwell on this issue. "We support the statement by the Canadian delegation and endorse the view that "this house is not a rubber stamp of the ICRC." On behalf of India he said, “We oppose inclusion” of white asbestos in the PIC list. Laurie Kazan-Allen, of International Ban Asbestos Secretariat, who was present at the meeting pointed out that the statement made referring to the opinion of Dr Richard Lemen saying “there is not an adequate basis for banning asbestos” (in the asbestos issue of the International Journal of Occupational and Environmental Health) by the Ukraine delegate was a total misrepresentation. Dr Lemen believes that exposure to chrysotile is hazardous. Kazan-Allen referred to the existence of thousands of global asbestos victims and criticised the proposal to omit from the official record the positions taken by individual delegations. "It is not accurate to say simply that consensus has not been achieved in the official report of this meeting. Thousands of asbestos victims in countries such as Canada and India have a right to know what has been done here today by delegates representing their countries," asserted Kazan-Allen at the Convention meeting. BBC reports on the debate in Geneva on the Rotterdam Convention included white asbestos in the PIC list, but the Indian media remained completely oblivious of it despite reminders by BANI. There is no single product in day-to-day use at work or at home that needs to be made from or contain deadly asbestos -- yet over 3,000 workplace and home-based products contain this poison. It is possible to eliminate the use of asbestos by redesigning the job or product, or by using another, safer material. Manufacturers make safer alternative fibre products and can control the fibre size so they cannot be breathed in and do harm. Asbestos fibre is added to cement to increase its elasticity but non-asbestos fibres can be used to do the same job. Alternatively, fibrous cement can be completely replaced by using metal or plastic to form thesection. The UK Control of Asbestos at Work Regulations Reg. 8 says: "Prevention of such exposure (to asbestos) shall be achieved, where it is practicable, by substituting a substance which does not create a risk or creates a lesser risk than that created by asbestos." The Control of Substances Hazardous to Health Regulations also make it clear that "safer substitutes" must be used wherever possible. Three major UK unions, UCATT, GMB and UNISON are actively encouraging their members not to use asbestos based products -- and their members are following this instruction, demanding safer substitutes. Members of other unions should check their union's policy. However, some of the products used in place of asbestos are not entirely risk free. * The greatest strength of manufactured fibres is that often the diameter of fibre can be made so they are not respirable (breathable). * Glass fibre is now believed to be as hazardous as chrysotile by many experts, although this is disputed by the industry. Previous research by the London Hazards Centre revealed a cancer risk to the throat. * Many fibreglass products contain fibres of a breathable size. It is used as an insulation product in general construction, roofs and walls and as a manufacturing product in preformed units, car bodies, sheeting, etc. It is a cancer hazard as well as causing skin and eye irritation. * Glass and stone wool products are loose conglomerates of fibres with oils and binders added to maintain the shape of the product and reduce the generation of dusts. The are used mainly for thermal insulation. Both contain a range of fibres which are respirable and are cancer hazards. * Wollastonite is a naturally occurring calcium silicate crystalline material. Exposures to this and other similar materials have resulted in respiratory symptoms such as inflammation, fibrosis, pneumoconiosis, lung function alterations, emphysema, pleural calcification, and obstructive airway disease. * Perlite is expanded volcanic rock and is mixed with other mineral fibres and bindings to form insulation board. * Cotton fibres can cause long term ill-health effects which sometimes are diagnosed late. Cotton causes the lung disease byssinosis. * Shredded paper can be used as an insulating wall fill. It can irritate the eye, nose and throat. * Cellulose fibres can also be used for insulation, etc. Available evidence shows their cancer stimulating effects to be significantly smaller than those from asbestos. Little is known, however, of the way that cellulose fibres may contribute to other diseases of the respiratory tract. * Kevlar (para-aramid) fibre. A recent report to the European Directorate DGIII said: "The reports of the UK HSE and, most recently, the conclusions of WHO and IARC suggest that para-aramid fibres are likely to pose a lower risk of pulmonary fibrosis, lung cancer and mesothelioma than chrysotile asbestos." The size of the fibre is easily controlled and it has qualities of toughness and thermal insulation. Not commonly encountered as it has limited, specialist uses. * Polyvinylalcohol (PVA) fibre. These do not readily split into finer fibres says the independent research organisation the organisation Environmental Resources Management. It thinks it safe to conclude that PVA fibres, of the diameters used commercially, are unlikely to pose a significant risk of the diseases which have been associated with durable respirable fibres. * Polystyrene can be used a loose fill insulation or bought in sheets. It will give off toxic fumes when heated. * breathed in, contaminating the surfaces of the nose, mouth, throat, larynx or lung. Fibres which are bio-persistent (staying in the body for years without changing) can also travel through the body, they cause damage and cancers wherever they are. It is by this means that asbestos and some glass fibre gets into the lubricated lining between the ribs and the lungs (the mesothelium). Relatively low levels of dust exposure stops the body's defence mechanisms in the nose, throat and lungs operating efficiently, increasing the risk of irritation, infection or allergy. * ingested because they are on food or spittle which is swallowed. Again fibres may damage the sensitive inner surfaces of the oesophagus, stomach and gut causing lesions and cancers. * contact hazards with skin and eyes. This can cause thickening of tissue, and basal cell cancers (a kind of skin cancer) at one end of the ill-health scale and itching and irritation at the other. This prickly skin is especially associated with fibre glass work. As far as possible manufacturers should ensure fibre sizes that are not breathable (non-inspirable), or at least not so small as to get deep into the lung (non-respirable). If small-diameter respirable fibres are necessary then they should not resist the body's clearing mechanisms (be bio-persistent) or exhibit other toxic effects. N.B. regular daily exposure to substances that are not bio-persistent means that the dose is persistent as it constantly is renewed daily in the body even though earlier exposures are dissolving away. All fibres that are respirable and bio-persistent must undergo testing for toxicity and for their ability to cause cancers (carcinogenicity). The UK Hazards Campaign says that exposures to fibres whose health risks have not been completely investigated should be temporarily banned until better data is available and informed decisions can be made on their safe use. 1) Ensure dust/fibres are not generated. 2) If dust/fibres must be generated by the work process, control the level of dust released into the air. e.g. by local exhaust ventilation, damping down, water mist spraying etc. If wet control methods are used then the resulting slurry should be bagged, removed from the work are and safely disposed of. 3) Train workers and supervisors in safe methods of work. It is essential that people with supervisory responsibility ensure that proper, safe methods and systems of work are always in place and used. 4) Protect workers against any (residual) exposure that the control system does not stop by providing appropriate protective equipment. e.g. sealed breathing apparatus. 5) Ensure that all systems of control are fail-safe. 6) Know all duties in law and regard them as absolute minimum standards. * ...and many, many more. Asbestos insulation is used in some systems and for lining cupboards housing the heater unit. Asbestos insulating board has been used for fire protection, heat insulation, ceiling tiles and as a building board. Sprayed asbestos has been used for protecting structural steelwork and for insulation. It should be borne in mind that if the asbestos materials are in good condition removal should not be necessary and disturbance of such materials by non-specialists could in fact cause risks to health. One should be wary of any signs of dust released by the materials. Asbestos materials in good condition can be left in place. One can use emulsion paint for insulating board, but use an alkali-resistant primer or coating for asbestos cement products. Do not rub down asbestos material before painting. If asbestos material is damaged or giving off dust, it should be removed. A specialist contractor should be engaged to carry out work on asbestos materials or to remove any sprayed asbestos boards or any other asbestos materials, including any worn or damaged asbestos materials. One ought to take precautions such as: wear a dust mask approved for asbestos, obtainable from safety equipment suppliers, wear an overall, which should be washed afterwards, keep other people away from the working area, spread a plastic sheet under working area to collect dust, wet the material (provided there is no contact with electricity), remove whole sheets or components - do not break them up, clean up settled dust with a damp cloth and seal in a plastic bag while still damp, do not use a domestic vacuum cleaner as fine asbestos dust will pass through the filter (industrial cleaners suitable for asbestos are available) and wash well afterwards. If fire protection material is removed, replace it immediately with a suitable alternative. Do not disturb asbestos materials unless you have to -- do not drill or saw them if this can be avoided: all such work should be carried out by specialists. Thatched roof is being removed with asbestos in haste following the fire tragedy in a school in Kumbakonan, 350 km from Chennai. The replacement found for thatched roofs in the state is one with asbestos sheets, which is a cancer-causing material. Asbestos is a poisonous material, inhaling its dust causes a cancer of cells lining the lung, mesothelioma. According to the recent issue, the International Journal on Occupational and Environmental Health quotes the estimates by the Chennai-based The Cancer Research Institute, suggesting that 3-4% of all lung cancers in India are asbestos-related. Thirty deaths are caused per day from asbestos-related diseases as per estimates based on US and European studies. Following the devastating fire tragedy at a private school in Kumbakonam on July 16, the Tamil Nadu Government had banned classes under thatched roof. As per the government order, a private school in Kailasapuram area had decided to replace the existing thatched roof with asbestos roofing. All over Tamil Nadu, the cool and eco-friendly thatched roofing has become the favourite whipping boy overnight with the state government ordering the removal of thatched roofing from all schools by July 30. Non-compliance could cost the schools their recognition. There are 300 high schools and higher secondary schools, and 2,000 primary schools (run by the government, local bodies and private managements) spread across 22 blocks in the Thanjavur district. Parents of the students are opposed to the school management's move to switch over to asbestos roofs and insisted on concrete roofing for the safety of the students. However, the school management refused to concede the demand and asked the parents to transfer their children to other schools, if they didn't want to adhere to the school's decision. In protest against the school management's adamant stand, about 500 people, including students and parents, resorted to a road roko. On July 12, the Supreme Court issued notices to the Centre and the states on a public interest litigation that seeks a ban on the use of asbestos, alleging that more than 1,00,000 workers have fallen victim to its carcinogenic effect. The petitioner has sought ban on the import, manufacture and use of asbestos but in India, its use is growing at a rate of 12% annually. 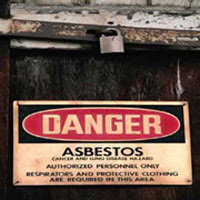 In Delhi, there is an order which prohibits all new schools from using asbestos. In such a situation it would be in the interest of public health to reconsider the order about asbestos roofs for schools. Ban Asbestos Network of India (BANI) has urged the Tamil Nadu Government to ensure that asbestos is not used as roofing to replace thatched shelters in schools. 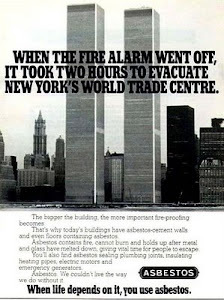 It pointed out that asbestos was a known carcinogen. Asbestos dust triggered the cancer of cells lining the lung, resulting in mesothelioma, a fatal condition. International journals and research agencies quoted studies by the Chennai-based Cancer Research Institute suggesting that 3-4 per cent of all lung cancers in India were asbestos-related. The letter quoted US and European studies, which estimate that 30 deaths are caused daily by asbestos-related diseases. 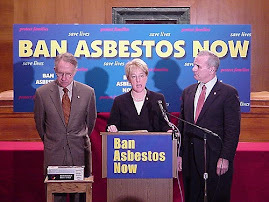 Several campaigns and reputed occupational health experts the world over called for a global ban on commercial use of asbestos. The letter, a copy of which was released to the media, suggested safer alternatives such as steel sheets, polyvinyl alcohol, aroid, cellulose, glass and carbon fibres, cotton, organic fibre, man-made mineral fibres and particulate mineral fibres. In a news item ‘Claims on effects of asbestos refuted’ based on Ramco Industries' press conference on July 22 in Chennai, S.A. Bhima Raja, President of Ramco Industries Limited, is reported to have agreed that asbestos was banned in Europe and the United States after studies showed that it causes mesothelioma, a rare form of carcinoma of the mesothelium lining lungs or abdomen or heart. He is reported to have said that the causative factor was the blue fibre of the asbestos. This view is simply misinformation and is baseless. Ramco's contention that only blue asbestos, which is banned in India, is the causative factor for asbestos-related diseases is completely flawed as can be seen from WHO's Environment Health Criteria, and also from WTO's judgment in the European Communities vs Canada case after France banned the import of white asbestos from Canada. Both WHO and WTO have held white asbestos as cancer-causing. Also, the Union Ministry of Health has informed the Parliament that studies by the National Institute of Occupational Health, Ahmedabad, have shown that exposure to any type of asbestos can lead to the development of asbestosis, lung cancer and mesothelioma. Manufacturers like Ramco Industries Limited are misinforming the media that asbestos does not cause lung cancer and other diseases. White asbestos is a poisonous material; inhaling its dust causes a cancer of cells lining the lung, called mesothelioma. As per the survey of UP Asbestos Limited, Mohanlalganj, Lucknow and Allied Nippon Pvt Ltd, Ghaziabad, (UP), the lung function impairment was found to be higher in subjects exposed for more than 11 years. This was the result of a Central Pollution Control Board sponsored project entitled ‘Human risk assessment studies in asbestos industries in India’. This has been reported in the (2001-2002) Annual Report of Industrial Toxicological Research Centre, Lucknow. Countries such as Italy, Latvia, Luxembourg, The Netherlands, New Zealand, Norway, Poland, Portugal, Saudi Arabia, Slovak Republic, Slovenia, Spain, Sweden, Switzerland, the United Kingdom, Argentina, Australia, Austria, Belgium, Chile, Croatia, Czech Republic, Denmark, European Union, Finland, France, Germany, Greece, Hungary, Iceland, Ireland, Australia, Japan, Uruguay, Honduras and South Africa have banned asbestos, taking note of the cancer causing nature of asbestos. Ban Asbestos Network of India (BANI) condemns the misinformation campaign of Ramco Industries Limited. BANI is campaigning to get import, manufacture and use of white asbestos banned in India. Things seemingly innocent often hide a seamy underside. Asbestos, widely used in making roofings, cement pipes, and conduits for electrical cables, has ruined the health of many a worker either mining it or making things out of it. Finished asbestos products in themselves may not be harmful, but there is enough scientific evidence to suggest that it poses a health hazard for the worker exposed to its fibres. The word 'asbestos' in Greek means 'indestructible'. Greeks called asbestos the 'magic mineral'. Asbestos is a generic term, referring usually to six kinds of naturally occuring mineral fibres. Of these six, three are used more commonly. Chrysotile is the most common, accounts for almost 90 per cent of the asbestos used in the industry, but it is not unusual to encounter Amosite or Crocidolite as well. Though Crocidolite asbestos is banned in India, it can still be found in old insulation material, old ships that come from other countries for wrecking in India. All types of asbestos tend to break into very tiny fibre, almost microscopic. In fact, some of them may be up to 700 times smaller than human hair. Because of their small size, once released into the air, they may stay suspended in the air for hours or even days. Asbestos fibres are virtually indestructible. They are resistant to chemicals and heat, and are very stable in the environment. They do not evaporate into air or dissolve in water, and they do not break down over time. Because of its high durability and with tensile strength asbestos has been widely used inconstruction and insulation materials - it has been used in over 3,000 different products. After mining and milling (crushed/grinding), Asbestos is processed through various methods and used for making cement products, gasket sheet material, friction material, heat resistant textiles, some special applications like in paints, thermoplastics etc. In India, asbestos is used in manufacture of pressure and non pressure pipes used for water supply, sewage, irrigation and drainage system in urban and rural areas, asbestos textiles, laminated products, tape, gland packing, packing ropes, brake lining and jointing used in core sector industries such as automobile, heavy equipment, petro-chemicals, nuclear power plants, fertilizers, thermal power plants, transportation, defence. The strictest occupational exposure limits in the world for chrysotile asbestos (0.1 f/cc) are estimated to be associated with lifetime risks of 5/1,000 for lung cancer and 2/1,000 for asbestosis - An irreversible and progressive lung condition where the tissue is scarred and thickened by the action of the asbestos fibres in the alveoli, the air sacs. According to experts, these exposure limits can be technically achieved in the United States and few other highly industrialised countries, but the residual risks still are too high to be acceptable. In newly industrialised countries engaged in mining, manufacturing, and construction, asbestos exposures are often much higher, and the potential for epidemics of asbestos disease is greatly increased. In India the occupational exposure limits to all kinds of asbestos in the work environment is 2 f/cc, where as in rest of the world it is between 0.1 f/cc-0.5f/cc. According to Dr S K Dave of National Institute of Occupational Health (NIOH), Ahmedabad, "we have to bring down the occupational exposure limits to .1f/cc at any cost. Also we have to completely ban activities of all kinds of amphibole asbestos, especially tremolite. It is extremely injurious to health and hazardous for workers. The tremolite mining in Rajasthan is done under very hazardous conditions and should be immediately banned." In a symposium organised by the Indian Association of Occupational Health on Banning Asbestos in April 2002, experts from all over the world deliberated on the dangers posed to the human health by asbestos and demanded immediate ban on all the activities related to asbestos and its products. An Asbestos Resolution supported by the participants was passed at the symposium. The world over thirty-six countries have already banned asbestos and even World Trade Organisation has given an judgement against it, upholding France's decision to ban import of asbestos from Canada. In the US, asbestos usage is down to 2% of the peak level used in 1974 due to public health concerns, regulations and liabilities involved. Alarmed at the continuing asbestos usage in India, its dangerous consequences and very little public knowledge about it, Ban Asbestos Network of India (BANI) has been launched to raise public awareness about the hazards of asbestos. Asbestos fibres are released into the environment from the natural occurrence of asbestos in the earth and as a result of wear and deterioration of asbestos products. Asbestos minerals are emitted into the atmosphere and water systems from the mining and milling of asbestos ores. Applications of asbestos materials to buildings and vehicle brake linings account for a significant amount of emissions to the atmosphere. Demolition of buildings with asbestos insulation or fireproofing, mostly in the western country where buildings are all insulated, may cause high atmospheric concentrations for relatively short periods of time. The primary routes of potential human exposure to asbestos is inhalation and ingestion. Asbestos is used so widely that the entire population is potentially exposed to some degree. For India, no such accurate figures can be stated as quantification has not been done. Going by a few studies that have been done in the small-scale sectors (organised sector), it is very clear that no such decrease has been observed. According to an expert committee report "the problem of environmental pollution and thereby health afflictions of workers in small scale sector, assume greater significance due to peculiar situations in which the units operate. Constraints of finance, technical know-how and competence regarding the environmental pollution control and to some extent, lack of preference of health in relation to financial gains are some of the important factors which influence the appropriate development of health and safety strategy." Other factors include migratory nature of workers and non maintenance of medical or other records by the factory owners for the migrant labourers which makes it difficult to track the exposure-related diseases. According to Dr Dave, NIOH had done an environmental evaluation in August 1999 of chrysotile mining in Cuddapah, Andhra Pardesh and tremolite mining in Rajasthan and found that "in Cuddapah the fibre levels has been brought down below the permissible limits, but in Rajasthan it's 7 to 10 times higher than the permissible limits." Worker exposure is a concern in the mining and milling of asbestos, during the manufacture of all asbestos products, and in the construction and shipbuilding industries. In India, according to a technical committee report "�.uncontrolled milling activities, especially manual operations, as currently practised in tremolite mills, cannot ensure the safety of workers." In India, there are no comprehensive studies on the secondary exposure of asbestos and its impact, but individuals have observed and documented some cases of secondary exposures. Dr S R Kamath, a physician who has worked with asbestos workers for a long time, has observed number of asbestosis cases where patients who have not directly worked with asbestos had contracted the disease. "�.patient was an industrialist's son, owner of an asbestos boxing plant...was exposed to the dust and diagnosed with asbestosis. In another case, the patient had an office in the first floor of a building which had asbestos boxing shed in the ground floor. The patient got exposed to asbestos fibres and dust through the AC ducts into the office...he was diagnosed with asbestosis too. A railway master was diagnosed with asbestosis due to the constant loading of asbestos in the rail wagons." The Central Pollution Control Board monitored eight major asbestos products manufacturing units in India and found that six of them were not complying with the emission norms and for two compliance or non-compliance couldn't be ascertained. In most cases there were no monitoring platforms; bag house; chimneys and stacks were not properly maintained, and operations were intermittent. NIOH has done a number of studies that clearly indicate the prevalence of asbestosis amongst asbestos workers in the country. There are no studies or data on prevalence of mesotheliomas or lung cancer caused due to asbestos exposure in India. But that does not mean that these diseases are not prevalent in India. According to Dr S K Dave of NIOH, "mesothelioma or lung cancer may occur years after a person has stopped working in a asbestos factory or mine and it is difficult to track these workers and do cohort studies. We do not have such infrastructure in the country. Also a person with Mesothelioma or lung cancer, both debilitating diseases, won't be working, they will be either in hospital or would have died". Asbestos mining and milling activity is concentrated in the small scale sector in India, whereas asbestos products are manufactured in small, medium and large scale sectors. The present annual consumption of asbestos is around 100,000 metric tonnes, one fifth of which is mined in India. About 2,500 tonnes of chrysotile and 35,000 tonnes of tremolite asbestos are annually mined in India. Andhra Pradesh, Rajasthan and Bihar are major asbestos mining belt of India with 20,000 tonnes being mined from these three states yearly. In addition, raw asbestos worth Rs 40 to 50 crores is imported annually. About 100,000 tonnes of chrysotile asbestos are imported annually. There are about 13 large scale and 673 small scale asbestos factories in the country. The annual turnover of the asbestos industry is around Rs 800 crores and gives direct employment to 6000 workers and indirectly to 100,000. The total trade volume for asbestos is 1,100,000 metric tonnes annually in India. According to Dr Dave, "the total use of asbestos in the country is 1.25 lakh tonnes, out of which nearly more than 1.0 lakh tonnes is being imported. About 90% of asbestos is being used by the asbestos cement industry." Though India has banned the import of asbestos wastes (dust and fibre) since 1998 (ban notified on 13.10.98), the import data shows 500 tonnes of asbestos has been imported by India between April 1998-March 99 from Brazil and Canada. Asbestos wastes are mostly imported from Brazil, Canada and USA, besides Kazakhstan, Poland, Russia, Zimbabwe, Swaziland. While asbestos imports and use continues to grow in countries like India, its use has decreased significantly in the developed countries. Canada exports almost all of the asbestos (more than 96%) mined in the country, especially to Asia, including India, whereas asbestos use in Canada is almost non-existent. In the US, demand for asbestos has continued to decline. Due to public awareness and concern, regulation, and liability; asbestos consumption is now 2 percent of what it was at its peak in 1974. The developed world has responded to the asbestos health catastrophe with bans on the use of asbestos, In addition to most European nations banning Chryostile asbestos in the 80s and 90s with exceptions, in 1999, EU agreed that all 15 EU member countries will ban asbestos by 2005. As this unfolds, the global asbestos industry is transferring its commercial activities to the third world. According to Laurie Kazan-Allen of Ban Asbestos Secretariat, UK, "Multinational asbestos corporations present a deplorable history of international exploitation. These firms have opened large and profitable internal and export markets in Brazil and elsewhere in South America, and in India, Thailand, Nigeria, Angola, Mexico, Uruguay, and Argentina." Consider this, Brazil is now fifth largest producer and consumer of asbestos in the world, after Russia, Canada, Kazakstan and China. While asbestos use in the United States amounts to well below 100 gm per citizen per year, asbestos use in Brazil averages more than 1,000 gm per citizen per year. In the third world countries, use of asbestos has been increasing at an annual rate of about 7 per cent. In India, asbestos is regulated under the Factories Act (1948), in which asbestosis is listed as a notifiable disease in the schedule 3 of the Act. Asbestos is also regulated under Air and Water Act and Hazardous Wastes (Handling and Management) Rules 1989 under the Environment Protection Act (1986). Besides these, Indian Standards Institution (ISI) has brought out a number of national standards and specification relating to asbestos mining, manufacturing and handling. India has very relaxed standards for asbestos emission in the environment, compared with most European countries and the USA. * Asbestos cement products (profiled sheet, flat sheet, building boards, slates, pressure pipes and moulded goods): with Polyvinyl alcohol (PVA), cellulose, Polyacrylonitrile (PAN), glass fibre, unplasticised polyvinyl chloride (for pressure pipes). * Friction material (brake linings, brake pads and clutch facings): with aramid fibres, PAN, some metal and semi-metallic materials are also used in combination. * Gaskets and sealing materials: with aramid fibres in conjunction with cellulose pulp or glass fibres with various mineral fillers. For sealing material, glass yarn and mineral wools are used. * Composites: with aramid fibre, glass fibre, carbon fibre, cotton, organic fibre, man-made mineral fibres and particulate mineral fillers. * Heat-resistant textiles: with blends of organic, glass, metal and synthetic fibres. Refractory fibres are used at higher temperatures and synthetic organic fibres at lower temperatures. In Moscow, unnamed trade union representatives from Ukraine and Mexico are expected to join representatives from Kazakhstan, Russia, Uzbekistan, India, Columbia, Brazil and Canada for a day of plenary presentations. The title of the presentation by the Brazilian trade unionist Adilson Conceicao Santana is of some interest; it is Chrysotile Asbestos: BRAZIL – A Successful Experience. It is doubtful whether the thousands of Brazilians currently suffering from asbestos-related disease would agree that the domestic industry which caused their illnesses is a success story. For more details on this event see the Conference Agenda. There is little doubt that both the formation of the Alliance and the holding of the conference signify an aggressive counterattack by commercial interests concerned at the threat posed by growing support for a global asbestos ban. Currently, more than half of global asbestos production originates in Russia and Kazakhstan; Azerbaijan, Kazakhstan and Kyrgyzstan are among the 12 countries which logged the highest percentage increase in asbestos consumption from 2000 to 2004. The friends of asbestos will receive a warm, fiber-filled reception from their Russian hosts. Brakewel Automotive Components India Private Limited (BACIPL) head quartered in Noida is a leading friction material manufacturer since 1983. It has technical collaboration with ASK Technica Japan which is the most reputed friction material OE manufacturer. It xports to 20 countries including Germany, Netherlands, Italy, Saudi Arabia, UAE and U.K. etc. . Its present production capacity is 3 million sets. Studies from the Quebec, Canada, chrysotile mines indicate that contamination of the chrysotile with tremolite or tremolite- actinolite is likely the cause of excess lung cancer and mesothelioma. Tremolite-actinolite, and the other amphibole varieties of asbestos, are extremely hazardous. There are many areas around the globe where tremolite in soils and local uses as stucco is associated with environmental mesothelioma. My sources indicate that tremolite-actinolite has been mined in India for at least 50 years. The mining and use of tremolite asbestos needs to be stopped immediately. It is extremely hazardous, probably much more so than chrysotile. Workers and there families who have been exposed need to be studied and monitored. I am not advocating use of chrysotile, but the problem with chrystotile asbestos and mesothelioma may be related to its contamination with tremolite-actinolite (amphibole), and tremolite-actinolite asbestos is likely much more hazardous with respect to mesothelioma than chrysotile. Emerging data indicate that chrysotile asbestos exposure in human does not cause cancer, but cantimation of the chrysotile with tremolite-actinolite does. It has been a year since my post on the situation with tremolite mining in India. Has any progress been made? Are mesothelioma cases being diagnosed in Rajathan? Someone please post a response. It is very nice that India has this open forum on asbestos. I visited India for 3 weeks in late December - early January, and made some friends at a conference in Bangalore. Unfortunately, I was unable to make it to the Rajathan tremolite asbestos mine. But it is number one on my hit-list. 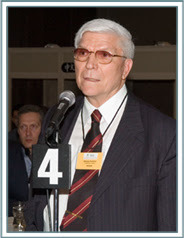 I am in contact with some of the leading experts in the world on asbestos. I am the only one doing asbestos research, to my knowledge, who is both a mineralogist and physician. There are some disagreements, but some consensus as well. Davis and others studied tremolite asbestos from South Korea in laboratory animals and found it to be the most carcinogenic their lab had studied, including crocidolite. Examining photographs and data from the Rajathan tremolite asbestos, it looks very similar to the Korean tremolite. Perhaps India is not ready for a complete ban on asbestos, but tremolite-actinolite asbestos should be banned. Since I am getting no response on this site, my e-mail is mgermine@hotmail.com. If anyone is willing to send me a sample of the Rajathan tremolite asbestos, we will study it and come a firmer conclusions. I have access to the leading asbestos experts in the world. Perhaps a conference can be held in India, inviting these experts. One can only do one thing at a time. I have a lot of mineralogical and geological literature on the Rajasthan tremolite, but no health effect literature. I know India has a lot of poverty and pressing problems, but a human life is worth saving. Can someone put me in contact with the Health Minister in India. Does anyone know about the occurence of mesothelioma in India, and specifically in connection with the tremolite asbestos mine(s). Again, my e-mail is mgermine@hotmail.com. I am getting no help from my Indian friends to assess the situation in Rajathan. I understand asbestos mining has been banned in India, but an Internet source alledges it still goes on illegally. If this is the case, the law should be enforced and there needs to be a cleanup of the mine or mines as enviromental hazard. A town in Australia was evacuated due to crocidolite asbestos contamination, and this tremolite may be worse. I understand India still imports asbestos. It should not use the amphibole varieties. For example, China is mining crocidolite and actinolite. I found their actinolite asbestos between cover slips used in microscopy and marketed to American schools. So the asbestos may be coming in in products not labelled as containing asbestos. I have been unable to contact the Health Ministry to inquire about mesothelioma in those who had worked in the Rajathan mine or mines. Many may have been misdiagosed as lung cancer, if autopsies weren't done. I thank my Indian friends for any information.